At The UPS Store Regent Street we offer professional notary services to help you get your business and personal documents notarized quickly and efficiently. Bring a valid, government-issued photo ID with you when you visit us for notary services. Be sure to bring all of the documents that need notarized with you. Be sure the documents are complete and ready for signature. Our notary is only authorized to witness the signing of documents. They are prohibited from helping prepare or assisting in completing documents. Some documents may require additional witnesses in addition to the notarization. Contact us prior to your visit to determine if we are able to accommodate. 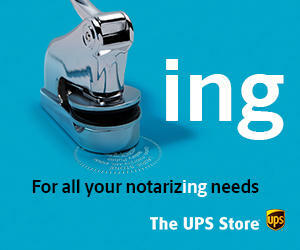 Make an appointment online or stop by The UPS Store at 1360 Regent St today.